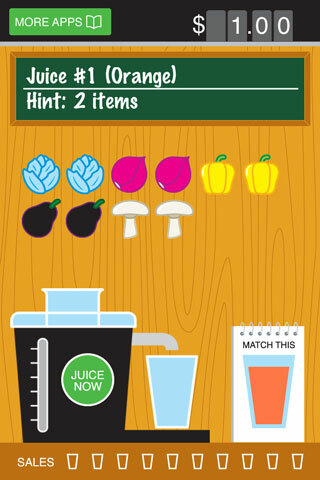 Juice King is a game developed between Bluespark and Glennz. It is based around the concept of mixing different colours (i.e. Fruit) to match the desired colour of the recipe. The game starts with fruit that are red, green and blue which are the colour primaries which are often used for electronic screens. Then on the second level it used primaries used in painting, these are blue, red and yellow. Finally the last level is to mix cyan, yellow, magenta and black to produce the required colour. 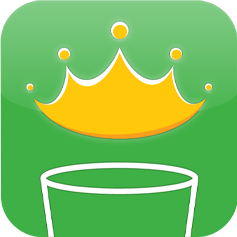 Juice King is a free application released to the iTunes App store and is supported by AdMob and iAD advertising. Your browser does not support audio, try Google Chrome or Firefox.